A sentry stands watch along the edge of a prairie dog town in Custer State Park, as a coyote (aka, “the trickster”) slinks away over the hill. 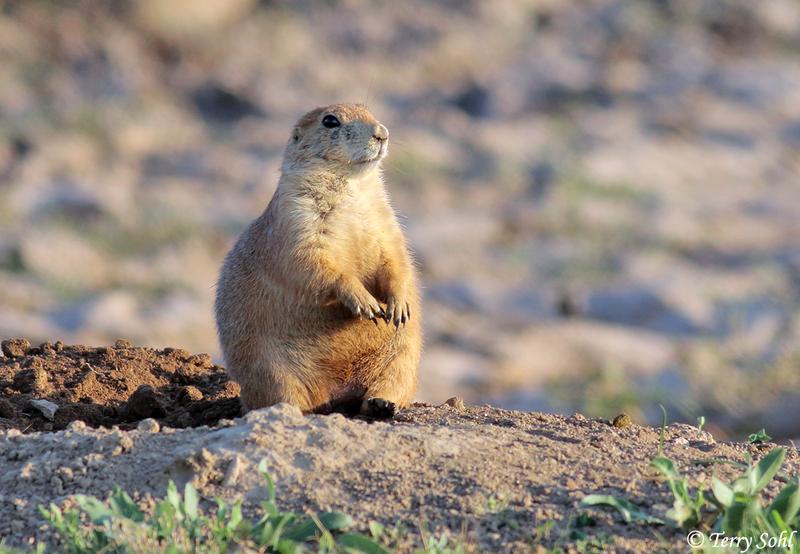 I first heard the barking prairie dogs before seeing them, and when I came over the hill I saw why they were agitated. A young coyote was probing the edge of the town, prompting the alarm calls to echo across the prairie. Whether it was my arrival or the bark of the sentry prairie dogs, the coyote disappeared out of sight shortly after this photo.